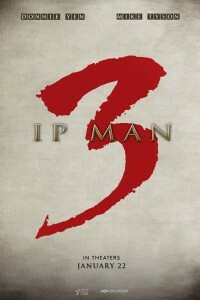 In Ip Man 3, which cost over $36 million to make, Donnie Yen ignites the screen in a return to his iconic role of Ip Man, the real-life Wing Chun Kung Fu master who mentored Bruce Lee. In this explosive third installment of the blockbuster martial arts series, when a band of brutal gangsters led by a crooked property developer (Mike Tyson) make a play to take over the city, Master Ip is forced to take a stand. Fists will fly as some of the most incredible fight scenes ever filmed play out on the big screen in this soon-to-be classic of the genre.